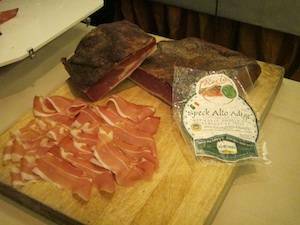 When it comes to cured Italian meat, imagination immediately flies to Prosciutto. However, this is just one of the many ways Italians decline preserved pork meat. 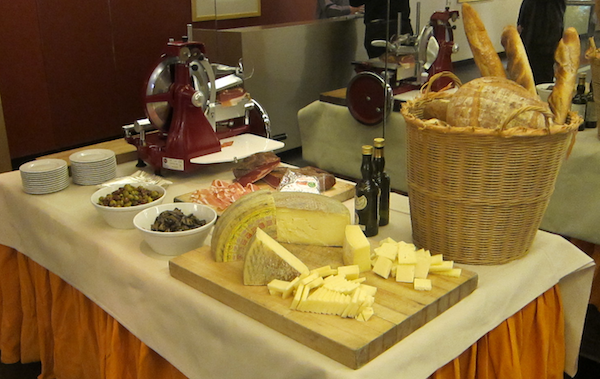 One of the tastiest is certainly “speck”, which was the protagonist, together with Asiago cheese, of the tasting session held in the elegant contemporary frame of the SD26 restaurant on February 16, 2011. 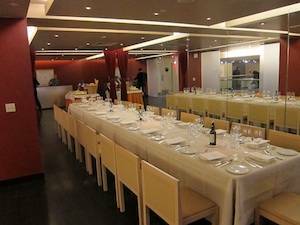 The lunch (wild mushroom crostini with Asiago, Canederli alla Trentina, and pork filet stuffed with plums) was preceded by a presentation of the products by Lou Di Palo, from the famous Di Palo food store. Before moving on to describing the characteristics of the two delicacies, Di Palo underlined how Speck is an IGP certified product (Indicazione Geografica Protetta – Protected Geografic Indication) and Asiago is DOP certified (Denominazione d’Origine Protetta – Protected Designation of Origin). These denominations are part of a widespread European system that ensures the origin and quality of a product. Speck is an intense flavored kind of cured pork meat. It is produced in the mountainous region of Alto Adige, near the border with Austria. The particular climate of this area allowed the inhabitants to discover ways of preserving meat differently than the salting techniques used in the regions closer to the sea. Here smoking is used. This technique, combined with the spices used in the process, produces a very peculiar taste and consistence. Furthermore, the micro flora present in this area nested between the glacial Alps and the Dolomite mountains allows for the growth of an extremely peculiar mould, not replicable anywhere else in the world. Over at least 22 weeks of seasoning, these fungi play a huge role in bestowing upon speck its unique fragrance. Perfect companion for speck is Asiago cheese. This product has been made on the Asiago Plateau for more than 1'000 years. It was originally produced with sheep milk, but this technique was abandoned in favor of cow milk. Until the 1920s, skimmed milk was used for the preparation of this cheese, but then a new production process was implemented which involves whole fresh pasteurized milk. The curds are sprinkled with sea salt, lightly pressed (hence the Italian name “Pressato”) and then aged for roughly 30 days. 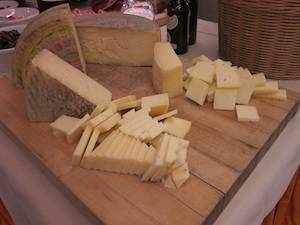 There is also another variety of Asiago, the so-called d’Allevo, which involves an aging time of 3 to over 18 months. Of course the longer aged Asiago has a stronger, more intense flavor than the Pressato.